Do you want to play a game? If you answered yes, then you've come to the right place. Jigsaw, the upcoming eighth installment of the Saw franchise, is just around the corner. As such, Lionsgate is starting to ramp up the marketing campaign, both domestically and abroad. With that, a brand new Japanese poster and TV spot for Jigsaw have been revealed, with the poster easily being the best one we've seen yet. The official Japanese Jigsaw Twitter account revealed the new poster, which brings back the familiar Billy puppet, who is lingering in the background of this image. The previous posters didn't bring back the iconic bit of imagery, but the trailer that was revealed during San Diego Comic-Con did bring the creepy puppet back into the fold. Billy, which has certainly earned his place among the pantheon of horror puppets, has been a staple of the franchise since the very first Saw movie. So this should assure fans that Saw 8 is going to be in line with what they've come to expect. The newly revealed TV spot has a lot of the same footage that we saw in the first trailer for Jigsaw, but we do get a slightly better look at some of the death games that have been cooked up for this installment. It also does a very nice job of condensing the longer trailer into a very scary but digestible bit of footage. Considering that Lionsgate waited so long to really get the marketing campaign going for Jigsaw, they may need some help getting butts in seats. Then again, after seven years, people may be ready for a new Saw movie. Especially since it has a premium October 27, 2017, release date, putting it out just in time for Halloween weekend. In Jigsaw, Bodies are turning up around the city, each having met a uniquely gruesome demise. As the investigation proceeds, evidence points to one man. The infamous John Kramer (Tobin Bell). But how can this be? The man known as Jigsaw has been dead for over a decade, having, at least seemingly, met his demise in Saw III. Things are not so simple as that and the legacy of John Kramer will continue with bloody and deadly results. 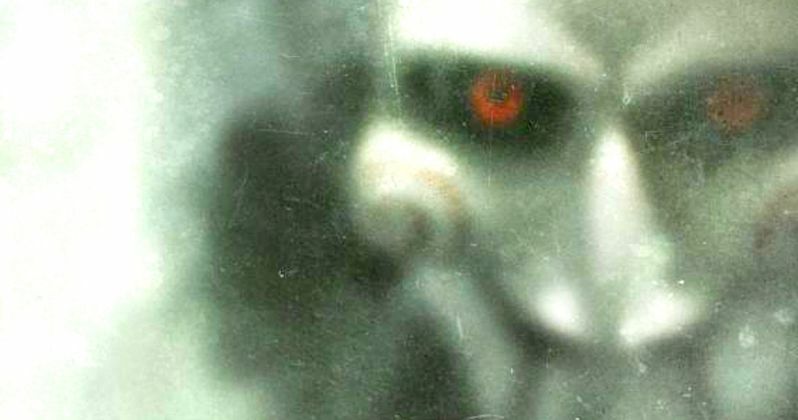 Saw is one of the highest-grossing horror franchise in history, with a combined $873.3 million worldwide, so it was always hard to believe that the series was going to stay dead, even though things seemed to wrap up in Saw: The Final Chapter. But will John Kramer stay dead? That seems to be the million dollar question right now, horror fans. Directors Peter Spierig and Michael Spierig (Daybreakers, Predestination) are the ones who have been tasked with bringing Saw back. So far, it's looking pretty good. Be sure to check out the new Jigsaw poster and TV spot for yourself below.